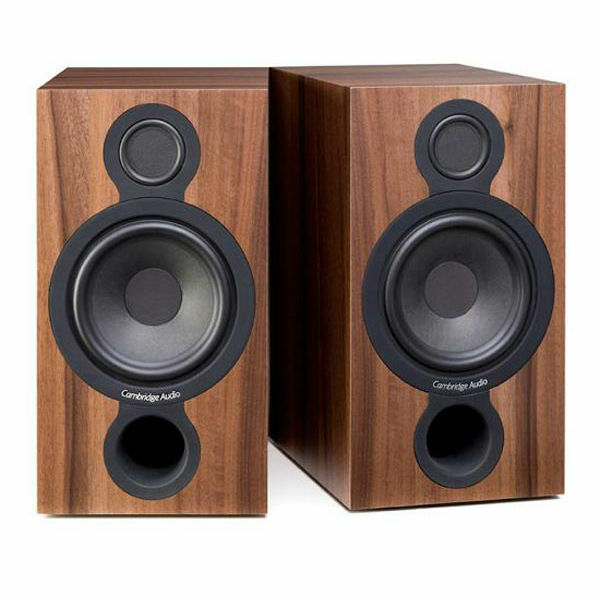 Cambridge Audio have combined radical technology and classic styling to produce a completely new type of speaker design. The Aero 2 features a 2.25” BMR® driver and a 6” woofer for fantastically clear, natural and coherent audio. By replacing the traditional tweeter with a BMR (Balanced Mode Radiator) driver, the Aero 2 offers a radical difference in audio quality compared to its rivals. Using the BMR shifts the crossover point between tweeter and woofer away from the usual 3kHz, right at the middle of the human ear’s most sensitive hearing range, to a less problematic 250Hz. The result is a more natural, immersive and coherent sound. As well as offering a more coherent sound at the top end, moving to a 250Hz crossover between BMR® and traditional drivers and subwoofers offers advantages at the bottom end too. Aero cone drivers and subwoofers are specifically designed to complement the BMR™ drivers – producing cinematic, immersive sound with sumptuous and accurate bass.